Control Room 2 is mostly occupied by Julius Mauranen, but equal partner Janne Riionheimo regularly works here too. We also rent out the room on occasion. The basic philosophy we have used in planning the room was simple: to build a fantastic-sounding room with a great vibe and keep the technology out of the way of the creative process. We have all key gear close at hand and readily patched into ProTools to ensure a smooth workflow and maximum flexibility with total recall. For recording and production, Control Room 2 has a great vibe, seamless recording workflow, good collection of instruments and a bunch of soft synths combined with a couple of classic analog keyboards. For mixing, we have carefully developed Control Room 2 into an inspiring yet unusual haven of funky analog gear combined with a powerful ProTools system to create a workflow that allows us to work efficiently and intuitively: there are plenty of classic, characteristic, even unique (and some plain weird) compressors, limiters and echoes (plate, spring and tape) in our racks. All that combined with a heavily customised MS Audiotron Multimix desk, Otari 1/4" tape deck and the flexibility and compatibility of the de facto industry standard, 56-I/O ProTools HDX system with a wide range of plug-ins makes Control Room 2 simply a fantastic facility, truly offering best of both analog and digital worlds. See our full list of gear for more details! Monitoring is handled by FAR Audio AV15 3-way monitors. 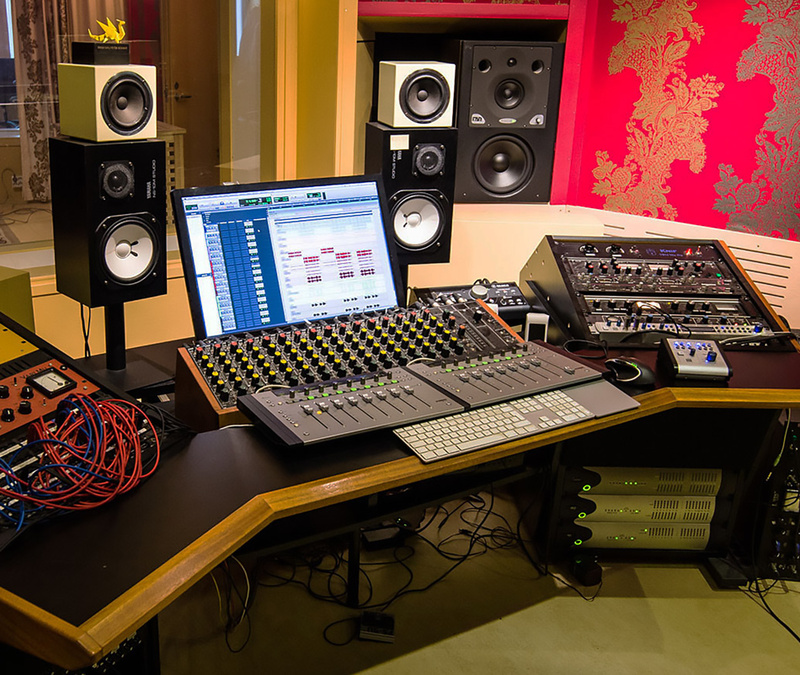 Alternative monitors include Genelec 1031A's, classic Yamaha NS-10M’s, Avantone MixCubes and a pair of Logitech computer speakers for that modern real-world reference. The superbly accurate acoustics of the room are painstakingly fine-tuned and meet the highest standards of any world-class mix room. Plugins from Slate, Soundtoys, Fabfilter, Native Instruments, Softube, Waves etc.